I have so many projects in progress and my goal is to wrap up many by April. However, I just decided to start a new one! 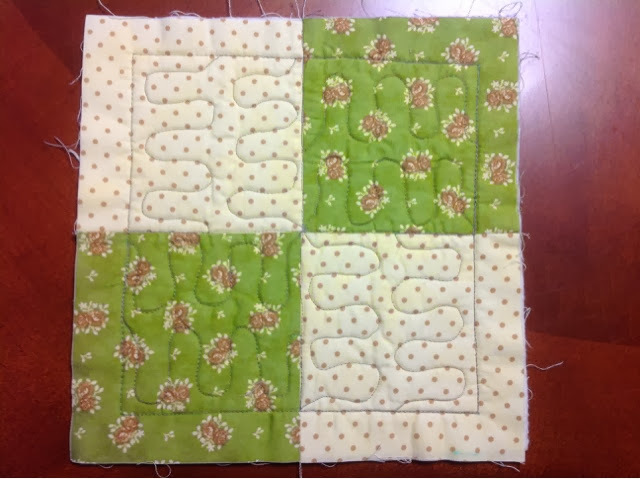 I have a quilt frame with a BabyLock Jane for quilting my projects. 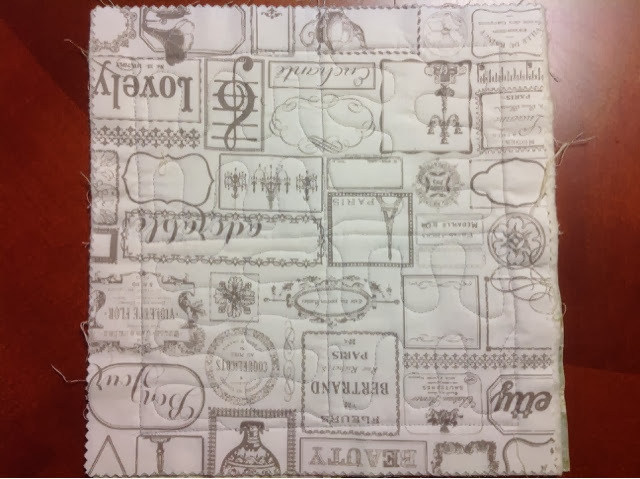 I have really wanted to learn to free motion quilt on my domestic home sewing machine. 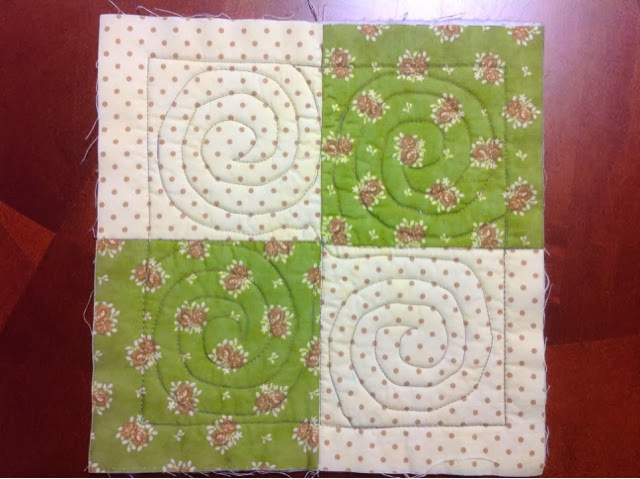 Well...I wasn't feeling so well yesterday, so I spent time laying around and surfing the web and I came across a new learning session that Leah Day at Free Motion Quilting Project started for 2014. I have taken Leah's Craftsy classes, but never quite got the hang of it. I thought this would be a great option because she has videos and has set up a FaceBook group for all the participants to share progress and questions. There is a fee for the PDF download with the blocks for the project, but it is very reasonable. 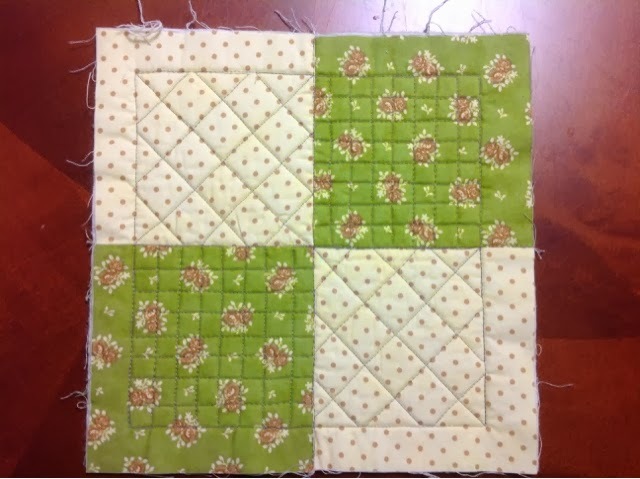 I really like this option because we are learning piecing techniques as well as free motion quilting. First thing this morning, I got to work cutting the blocks for the January session. 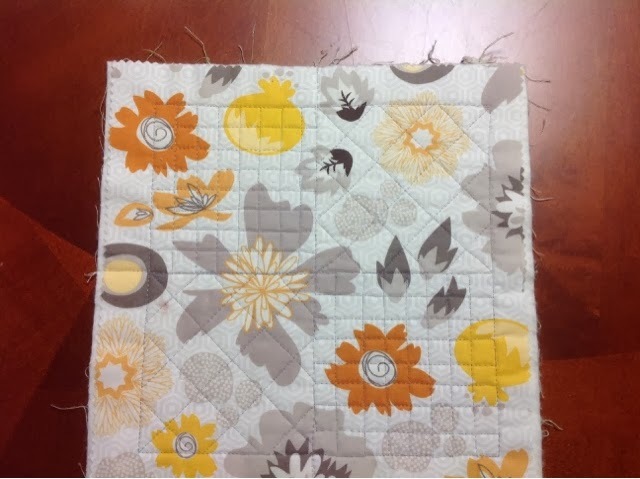 I pieced them and set out to test free motion quilting on my old Janome 4800QC. I had a real issue with going backwards on the Janome as it left eyelashes on the back. After about an hour, I decided to pull my BabyLock Jane off the quilt frame and guess what? 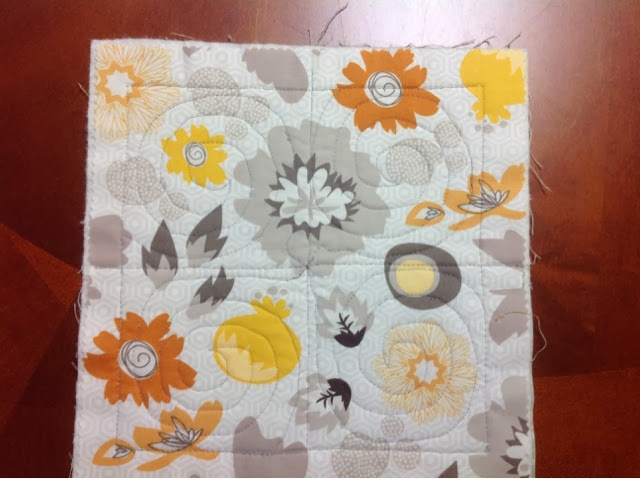 Right off the bat it was a perfect stitch...no tension issues at all. I am using Superior Omni thread on the top and Superior Bottom Line on the bottom. I used fabric I had in my stash and for the back I used a layer cake, 'Lost and Found 2' by Riley Blake. So for the next block, I removed my shoes to see if I could 'connect' with the pedal and my hand movements. This is something Leah recommends, but I reallly didn't think I needed. Below are the pics and I really think that it made a difference. I still need practice, but it felt more natural. I can't wait to start the February session! Oh and did I tell you? Leah Day's husband Josh is also participating and since he is very new as well, Leah goes over all the challenges and ways to correct them. Check it out!